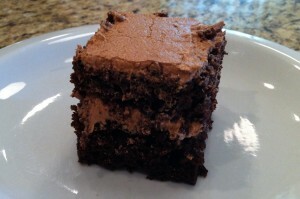 This entry was posted in Cooking, Recipe and tagged Coca-Cola, Dessert, Recipe by KHill. Bookmark the permalink. 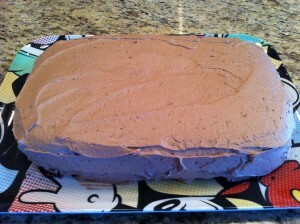 Kathy Hill… The cake looks great but I really wanted to tell you that I just so enjoy reading your blog. I love how you write because I can really imagine all your CAPS/inflections and all. You’re awesome! You are so sweet Lisa! I’m glad you enjoy reading it as much as I enjoy writing it. You will LOVE it Mary! As one of those co-workers, I can vouch for the goodness of this cake as well as the other goodies Kathy brings in. I had this cake for breakfast, an appetizer before lunch, dessert after lunch and as a snack on the way home. It’s DELIGHTFUL. When I was a child, we had coca-cola cake but we also had a coca-cola salad. As I recall, it was almost a congealed salad with fruit and maybe some whipped cream in it. I’ll have to ask mama about it. It was very good. Seems like it also had nuts.